Pattaya Thani. 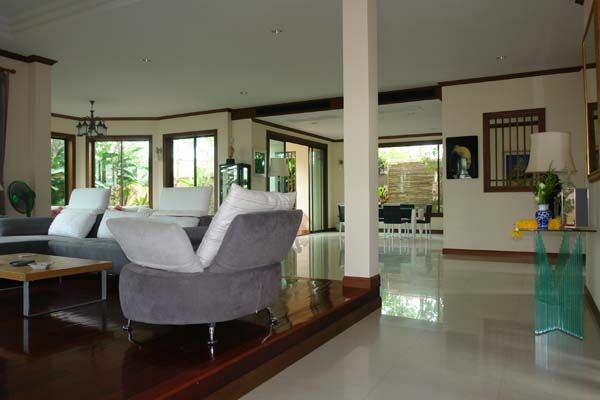 A beautifully landscaped village only minutes accross the Sukhumvit Highway from Jomtien. The house itself has been built to high modern standards and some of the individual touches really make this house stand out from others in this price range. The ground level has plenty of garden space with a carport big enough for 2 cars. The huge living/dining room make fo a grand entrance and the living space has been raised with wooden floors. 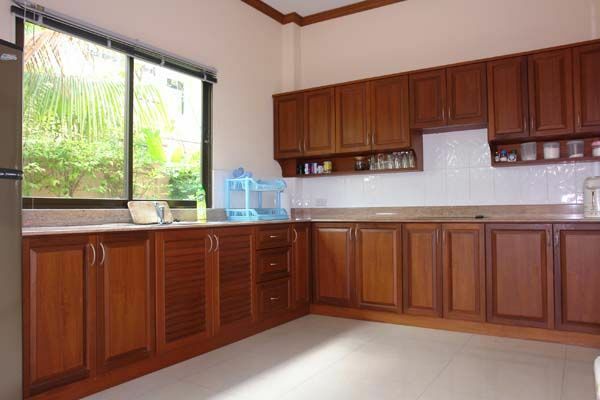 All the rooms in this home are large and all come with fitted furniture. The dining room also leads back to the garden and waterfall. Upstairs are 3 large bedrooms (all en-suite) with the master bedroom boasting a tropical garden in the en-suite bathroom. The home has underground water plus private well, alarm system and Satellite TV to name just a few extras. 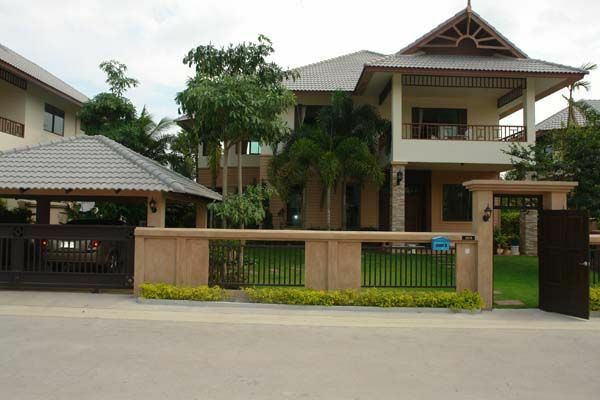 The land title is held under a Thai company and all documentation will be sold with the home. Living area : 390 sqm.